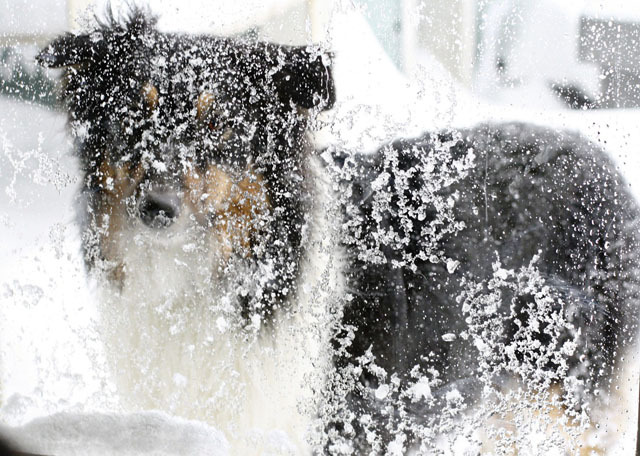 I think most people (and dogs) welcome the snow-especially the first snowfall of the season. and best of all-SCHOOL CLOSINGS! Cats love to stay inside and watch other animals play in the snow! Vicarious thrills–maybe they are smarter–they don’t have to put on snowsuits, boots, scarves…. I’m sure you’ll have your day…I grew up in Chicago, I know! Yes. Waiting…Don’t remember having to wait this long before. I am a white Christmas kind of gal. Enjoy your day! I love those dogs. I used to have one that looked somewhat like them. That was one of my best dogs. They are great dogs! They are very loyal and will do anything for a doggie treat! 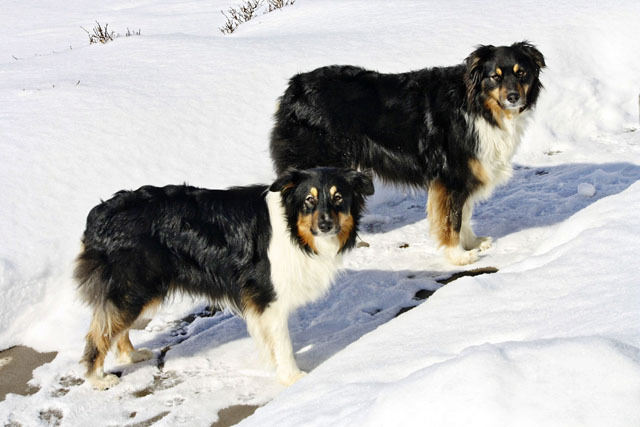 Your dogs are gorgeous, are they collies or shelties? We didn’t get nearly that much snow in SD. Love how your pictures show the sparkly flakes. 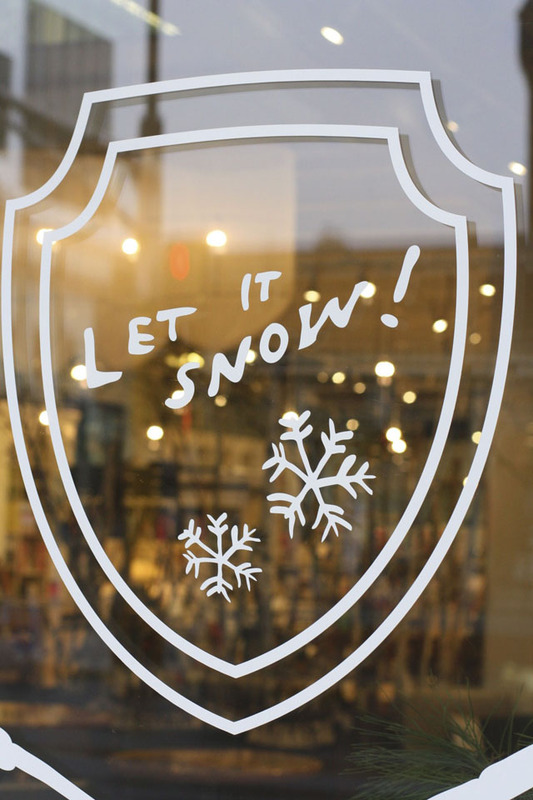 We may just have a white Christmas after all! Thank you! 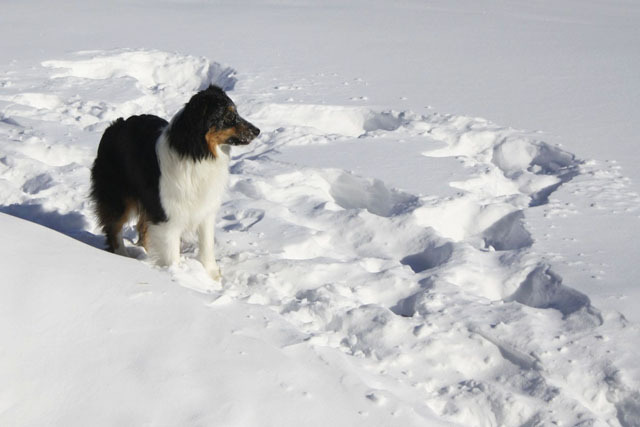 My dogs are Australian shepherds and they love the snow. Are you disappointed you didn’t get 16 inches? I’m sure your snow day will come. 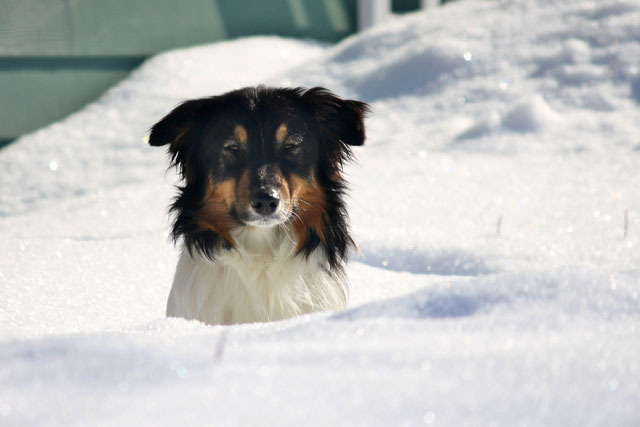 I love a big snowfall-and I am glad we are going to have a white Christmas…it really adds to the season.